A light-lathering soap-free cleanser formulated to gently and thoroughly cleanse skin remove make-up and excess oil while maintaining the skin's natural moisture balance. Powerful antioxidant White Tea to help protect against free radical damage. 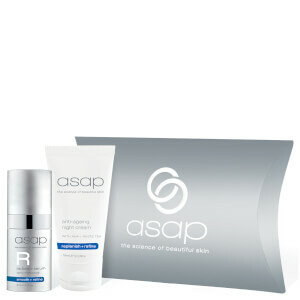 The asap gentle cleansing gel is a non irritating formula that is even safe for use around the eyes. Suitable for all skin types including sensitive skin roseacea skin and ideal for use after skin rejuvenating procedures. Gently lather a small amount on moistened hands and massage onto damp face and neck. Rinse thoroughly. Key Ingredients: Aloe Vera, White Tea, Grapefruit Peel Oil, Orange Peel Oil.